He says “proud” as he touches his heart. His wife Jane Garrutju translates the rest. “It was his dream, to dance with his granddaughters here,” she says. 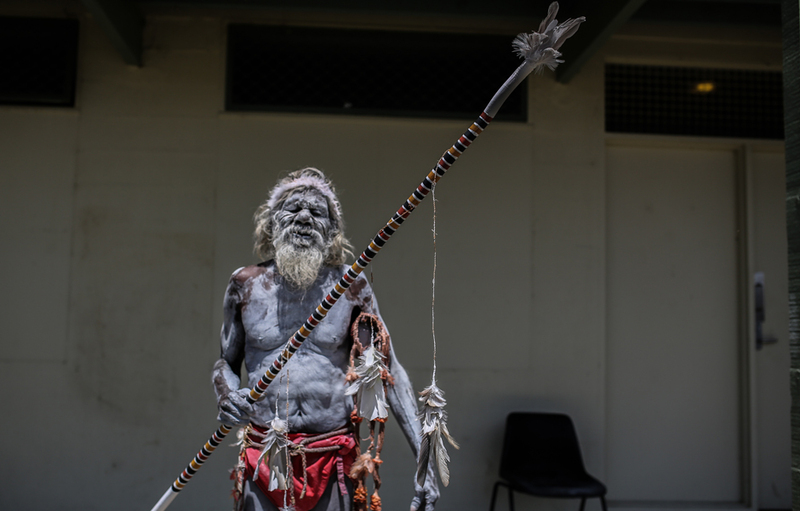 He has flown down from remote Galiwin’ku on Elcho Island in north-east Arnhem Land. 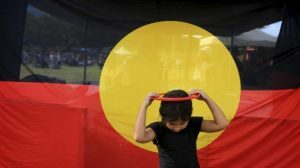 That’s about 3,000 kilometres away from Worawa Aboriginal College in Healesville, north-east of Melbourne, where his granddaughter Sasha has been boarding for the past two and a half years. This is her year 10 graduation. “I am proud of my grandchildren, Sasha and Alicia, I am proud that this college was taken care of and that they got a good education,” Gali says. Gali is a Yolngu Mala leader, known as the Morning Star dancer. 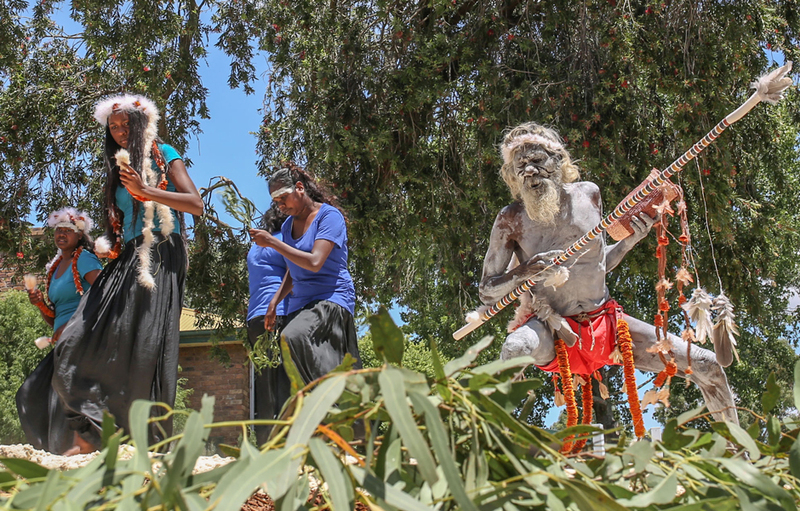 Despite feeling unwell on the morning of the ceremony the elder, who does not know his exact age, insisted on following through with the special group performance involving two of his granddaughters. The traditional dance called Lunggurrma, which means north wind, incorporates the feathered ceremonial Banumbirr (morning star pole). 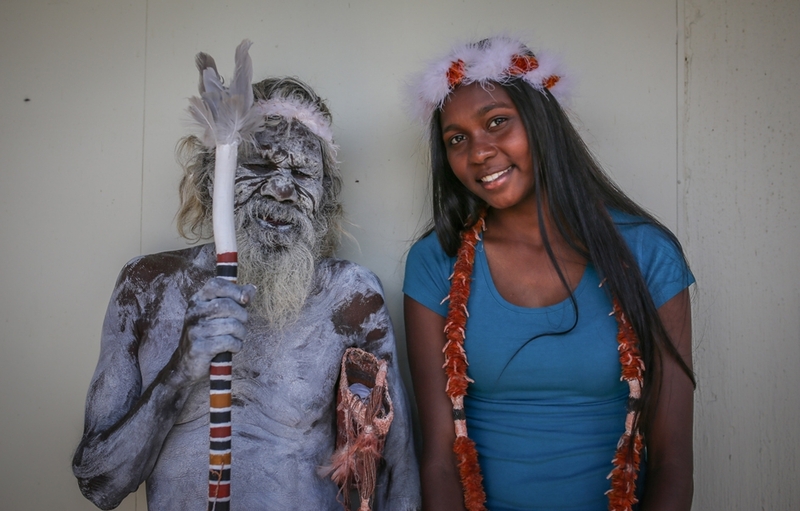 “When visitors come to Elcho Island my grandfather always dances, and all the grandchildren dance with him,” Sasha says. “I always love to dance with my grandparents. The absence has been difficult for her family back home. But Jane says the family decided to send her granddaughter to Worawa because they wanted to give her a chance to be anything she wanted to be. “Culture, we value it like land and sea and we are proud of it,” Jane says. “[Gali’s] very strong in teaching his grandchildren to cling on to their values, to be able to balance Western culture and our culture. 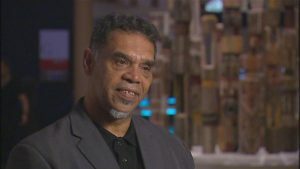 That was the aim of Worawa founder Hyllus Maris, who started the college in 1983 with the idea of educating young Indigenous people in a way that celebrates their culture and their past, but helps them have a bright future. Sasha says she walks proudly in both worlds. She plans to complete year 11 and 12 at Clontarf Aboriginal College in WA and dreams of becoming a nurse, working in her own community and in Melbourne. “I would still love to practice culture and teach people my culture,” she says.